NEW YORK NEW YORK PAINT! PAINT! Reuniting for the first Time in The Netherlands works by Ellen Berkenblit, Nicole Eisenman, Inka Essenhigh, Mary Heilmann, Charline von Heyl, Jaqueline Humphries, Joyce Pensato, R.H. Quaytman and Sue Williams, the exhibition aims to bring together works by the leading female artists currently shaping the contemporary art scene in America. Reanimating and re-contextualizing historical painterly styles into a contemporary personalized version, the exhibition highlights adventurous and daring paintings of the preceding decades. While there is no official underlining aesthetic for the selected works, there are certain sensibilities shared by the works of these New York based artists. Combining a tendency towards abstraction with a figurative style that shies away from strict mimetic representation, all of these works approach painting with straight forward attitude. Bold colors are combined with elements of popular culture, developing subjects that playfully intertwine inner and outer worlds made of personal repertoires of unexpected forms and shapes. Leaving Behind the conventional seriousness of art, both artists propose alternative methods of art-making, with the use of anything and everything, from everybody objects to items from their nomadic life experiences. Employing contrasting materials that previously were not considered as suited for the creation of art, the artworks directly confront the expectations of the viewers, and deconstruct stereotypical Western understanding of value in art. The works included the exhibition range from early pieces by Michael Buthe from the late 1960s, when he created his series of torn canvases that overtly protested against aesthetic conventions in art, to works from his final years of creation, when the exuberance of the motifs took full control of the canvases. Jimmie Durham's works made of wood, metal, glass, canvas, paper, stones, dirt and random everyday objects metamorphose into intriguing sculptural presences, reiterating his continuous investigation of the cultural and political meaning of such "purposeful junk". 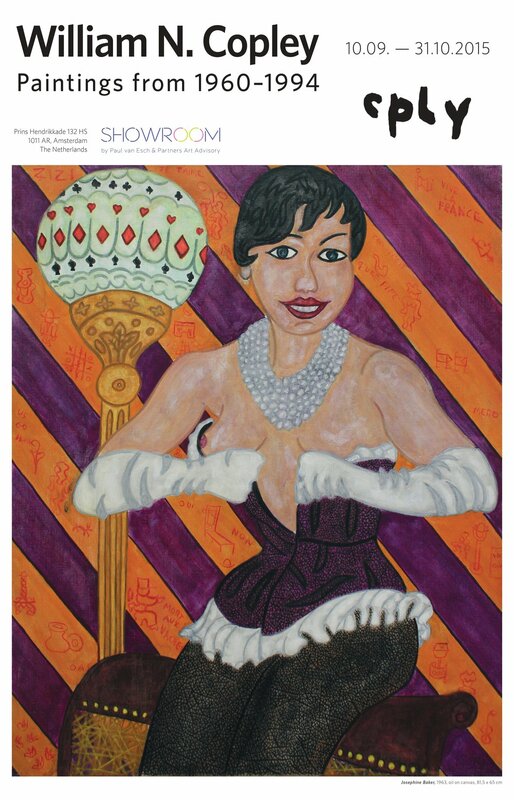 CPLY's paintings can be summarized as the exploration what he called "the battle of sexes", creating a highly idiosyncratic artistic language, inspired from everyday life and American imagery of pin-up and comic strips, as well as folk art. Even though he spent most of the 1950s and early 1960s in Paris in the company of Surrealists, upon his return to New York in 1963 he effortlessly fit into the local Pop Art movement. Drawing inspiration from newspaper cartoons and working in series, CPLY's simplified cartoon style figures, at times without facial features, alone or in animated groups, corresponded to the aesthetic concepts of Pop Art. The exhibition brings together works from all his phases of creation, from the Parisian years to the last period spent mostly in solitude in his home Sugarloaf Key, Floria.